And when the dollar dies? The world’s 20 leading economic powers will powwow this Labor Day weekend in the lovely lakeside city of Hangzhou, China. Not for nothing does China call itself the “Middle Kingdom.” Rule-taking never sat very well with China. Chinese traditionally refer to foreigners as “barbarians.” No, the Middle Kingdom makes the rules. Others follow them. Just this Wednesday, the World Bank issued landmark bonds denominated in SDRs in the Chinese market. It was only the equivalent of $700 million. But China Daily says the World Bank is planning to issue a much larger wave of SDR bonds in China — up to $2 billion worth. Once they kick the tires a bit, more will certainly follow. 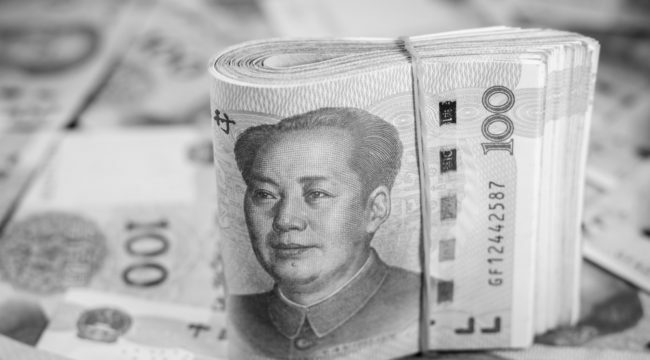 And Bloomberg tells us this morning that the Chinese yuan has nearly doubled its share of the global currency trade over the past three years. It was $120 billion in 2013. Now it’s $202 billion, making it the most actively traded emerging-market currency. Being the most actively traded emerging-market currency might sound like being the highest hill on the prairie. And the yuan remains a mound to the dollar’s Matterhorn for now.